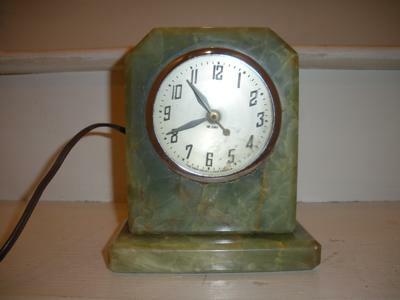 This clock was give to me 30 years ago from an 85 year old German woman. I was wondering how old this clock is. I think it's onyx, but maybe it's marble? It's very heavy, about 7 inches tall and the base is 6 inches wide. Has an electrical cord and key wind up.